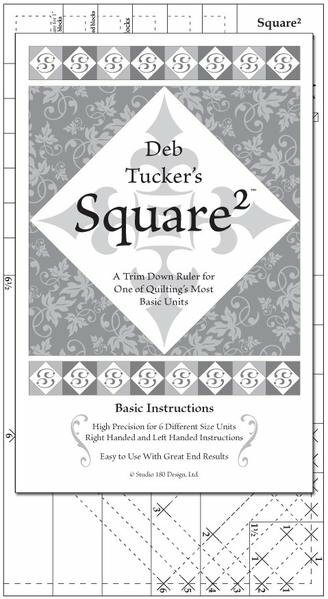 The Square Squared is a all-in-one tool from Deb Tucker's Studio 180 Design and is a must-have for any quilter! 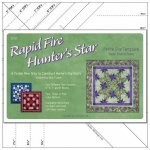 This tool simplifies and adds precision to one of the most versatile and common quilt blocks around--the Diamond Square--without having to resort to paper piecing, even at finishing sizes as small as a single inch! 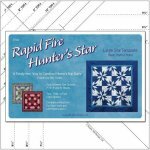 This tool can assist quilters in creating an astonishing variety of quilt blocks that are common to both traditional and modern quilt designs, and is terrific for those who wish to design their own quilts, too. Instructions included, including for left-handed quilters and cutters. The tool features a "window" template for accurately cutting center squares, a chart is printed directly upon the ruler for the recommended size to cut the triangles that are sewn to the four sides of the square, and a trim-down section on the ruler simplifies the trimming of the unit. 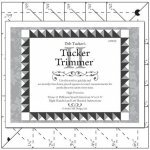 It is often tricky and time-consuming to master the Diamond Square unit, but this tool greatly increases any quilter's success levels. Ruler size: 6-1/2" x 12"